Was a slave to god but now free"
I was born and raised a protestant Christian. I was taught right from childhood that I was to take the bible as the true and perfect word of god, and believe that Jesus Christ is the son of God. I was taught that this is the only way to get to heaven and avoid eternal damnation in hell. I was also taught this I was not of this world, that god had chosen me to be his child and I was to spend my entire life convincing other people that this is the one true way. I went to church every Sunday and took bible lessons. I was made to follow the doctrine of repentance and confession of sins. I was kept away from going to the movies, participating in cultural activities that my friends from other religions enjoyed and made to focus on the teachings of the bible. I prayed every morning after waking up, before leaving home, before each meal, with the family in the evening, before going to bed, when I was sick or upset and for everything I did in life. Therefore, I grew up believing that all this was the only way to eternal life and this was what I was supposed to follow for the rest of my life. I studied biology in school and in college. I studied evolution and how species evolved from lower forms by way of natural selection. I also studied the big bang and the mysteries of the beginning of the universe. I was without doubt fascinated by these fantastic ideas. However, deep within, I knew that all this was nonsensical when I took the bible as the perfect truth. I believed that God had created everything and put it in motion. Science must have made serious mistakes with respect to fundamental assumptions owing to which it did not agree with the bible. I held on to my religious beliefs despite my brain telling me to consider scientific evidence with an open and unbiased mind. I had all the evidence staring me in the face- fossil evidence, historical evidence, archaeological evidence, genetic evidence, carbon dating evidence, etc. Yet, none of this was enough. I believed that the devil worked with the scientists to fool people and work against god. Not only did I believe that my religion was true but I also believed that all other religions were false. Christianity had the best story which is why it was true. All other religions had weird gods, silly abstract imagery and no hope for the future. My religion was the best. When the flaws in my religion were pointed out and disputed events were questioned, I would simply get into heated pointless arguments wherein I would frequently digress, or I would change the topic and say, “one day you will know”. I moved away from my family to pursue my Ph.D. I now had the time to think clearly without pressure or influence. I could weigh both evolution and creation in the same balance and see for myself which of the two was found wanting. I started reading, watching documentaries and debates on the issue, and discussing and debating with people. I realised that every time I tried to defend my faith against science, I was not only going nowhere but was also questioning my own logic. My friends would say, “You have the evidence in front of you. How can you just ignore it?” I asked myself why I was believing what I was believing and why I was so closed-minded when it came to science. 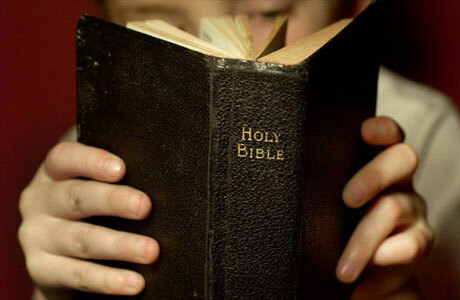 I went back to the bible hoping I would find hope and strength and the more I read it, the more doubts I had. I could not agree with it like I used to. I started thinking and asking questions, and trying to find logical explanations. I realised that none of this made sense anymore. I had reasoned with my parents and other Christian friends over the past five years. They would say that it was not only impossible to answer every question and explain every plan of god, but it was also not necessary because god’s plan was perfect; whether we understood it or not, we should have faith. This idea was not acceptable to me anymore. I asked myself that if god’s word was perfect then should it not be able to answer everything clearly? It was just by chance that one day my mother asked me to look for some information on the lost years (the years between his childhood and his first appearance to people as an adult) of Jesus. I realised that the book that I held to be perfect and true all along was modified several times till it reached me. How could I possibly consider this as the perfect book? While I was researching material on this topic, I happened to read about the canonisation (the process of putting different books of the bible together to make the copy bible we have today) of the bible. From the vast amount of so-called inspired literature available for consideration, a group of religious leaders got together and under the supervision of the roman emperor Constantine, picked and chose which books should be included in the bible. This copy of the bible lasted for about a thousand years after which Martin Luther, a German monk, modified the New Testament canon to make the bible that protestant Christians use today. This realisation was my eureka moment. I realised that the book that I held to be perfect and true all along was modified several times till it reached me. How could I possibly consider this as the perfect book? Moreover, further research revealed that there existed several different types of bibles- the Catholic bible, the Greek Orthodox bible, the Syrian Orthodox bible, the Ethiopian Orthodox bible, etc. Now which of these bibles was the perfect one? It then dawned on me that there was something seriously out of place here. I spoke about this to my mother and she told me to ignore all the other bibles and only focus on the one we use namely the protestant bible. But this time I could no longer agree. I had to think about this sensibly. I spent more time reading the bible and bible commentaries only to discover that each time I read them, they seemed more nonsensical to me than ever. What I was convinced of the most was the absence of a perfect divine plan. If there was a perfect true god then why was there so little evidence? Why was the bible full of obscure writings rather than plain and simple evidence? Why was there such a dramatic difference between the god of the Old Testament and the god of the New Testament? Along with theological questions, there were also serious scientific flaws in the bible. And what bothered me the most was the argument of bringing in faith, when there was no other explanation. It finally dawned on me that all this was the invention of the human mind. And I had been stupid to have not realized this earlier. However, it is better late than never. I felt confused, upset, betrayed and stupid. My support system of twenty seven years had suddenly vanished. I was still praying, reading the bible and going to church out of habit because I was programmed to not let go of this. But the more I did this, the more I was at war with my own reasoning. I could not blindly accept these teachings anymore. I could not bash hard scientific evidence anymore. I had to decide for myself whether I wanted to be bound in superstition and blind faith when I had a world of magic and wonder to study and learn about in a systematic way. It took me great courage to finally make the decision. I felt scared and anxious. I was also sad that I would upset my parents and people in the church. However, I made the right choice. I chose science, reason and evidence over blind faith, threats of hell and a totalitarian heavenly regime that controlled my every move (in thought and in deed). It was difficult in the beginning but I had friends who encouraged me. It was like a burden was lifted off my shoulders, and I could now think clearly without inhibitions and superstitions dragging me down. I am lucky to be in this world, and I want to make the most of this life rather than abandoning the present and focussing on false hopes of eternity. I still love Christian music, music that I grew up listening to. I also love celebrating Christmas with friends and this will never change. This is religion without superstition or in simple terms, culture. Culture is important for the progress of humanity and can be a delightfully enriching experience. I am not ashamed of mine. I hope I manage to share with you what I learned. I do not hope to convince you to abandon your beliefs or do anything radical in your life. My endeavour is to simply urge you to think for yourself and ask questions, to be unbiased, and to not blindly follow what you were told to follow. I realised that the book that I held to be perfect and true all along was modified several times till it reached me. How could I possibly consider this as the perfect book?